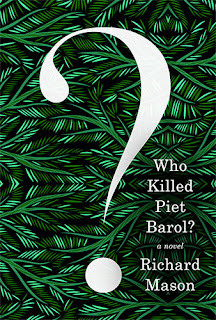 Richard Mason is the author of the new novel Who Killed Piet Barol?. 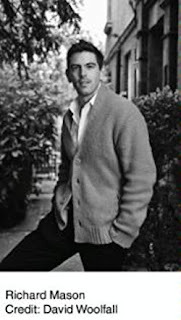 His other books include History of a Pleasure Seeker and Natural Elements, and his work has appeared in a variety of publications, including Vanity Fair and Vogue. He was born in South Africa and lives in London. Q: You also wrote about Piet Barol in an earlier novel. Why did you decide to write another book featuring this character? 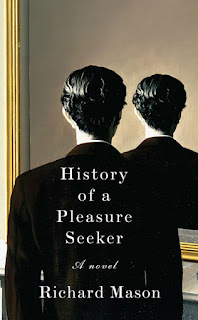 A: History of a Pleasure Seeker and Who Killed Piet Barol? were conceived at the same time, and designed to stand alone and to be read in any order. I knew I wanted to write about a man with outstanding intuition, who was bold enough to trust his hunches and act on them. And, therefore, about the risks of having too much insight and charisma. 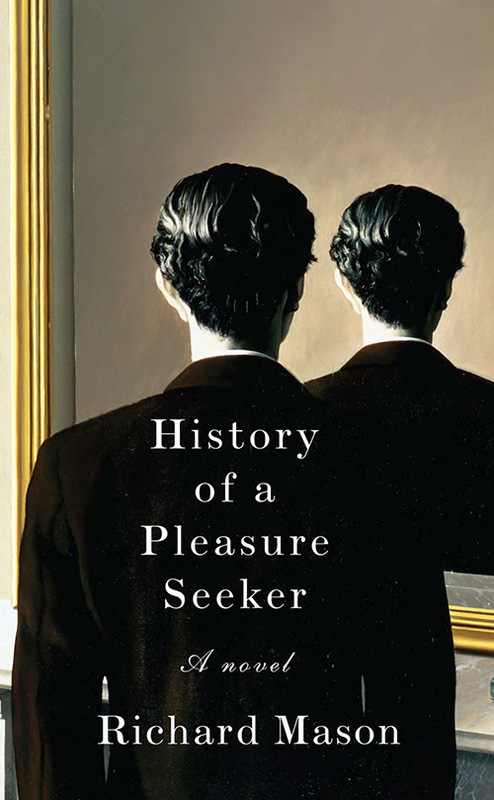 History of a Pleasure Seeker sees Piet Barol as a young man in Amsterdam, grappling with the potentials and the pitfalls of his particular gifts. Who Killed Piet Barol? sees him on the opposite side of the world, in a situation that couldn’t be more different – but his brand of risk-taking adventurousness remains the same. I didn’t know readers would love him so much. I wish I had written several novels in between! Q: How did you research this book, and was there anything that particularly surprised you in the course of your research? A: I knew that I, as a white South African, couldn’t create nuanced, three dimensional black characters. The Apartheid regime of my childhood kept South Africans of all races very effectively apart. Who Killed Piet Barol? is set in South Africa in 1913, and many of the characters are Xhosa. I knew I’d have to go on a quest for lived experience before trying to bring them to life. So I upped sticks and went to live in a tent on a hillside in the rural Eastern Cape. I threw myself into helping found a centre for green business skills, which took me right to the heart of Xhosa village life. The experience was amazing and appalling, hilarious and miserable, in approximately equal measure. Certain mysteries were revealed to me, and any things had to happen before, several years later, I was ready to create a Xhosa village from my own experience - with, I hope, a lot of warmth, but no sentimentality. Q: You tell the story not just from Piet’s perspective, but from the perspectives of a variety of other characters. Were there any you especially enjoyed writing about? A: I love all my characters equally! Their flaws endear them to me as much as their nobility – because each of us has both. A: Who Killed Piet Barol? isn’t a straightforward question. It’s an existential one. And I love hearing from readers about what they think the answer to it is. It was the novel’s working title from the beginning. We went through others before it was published – including Of Beasts and Gods, which I liked – but Who Killed Piet Barol? creates a particular tension. Right from the outset, you know that something will happen to the book’s hero – but what it is, or who’s involved, is unknown. 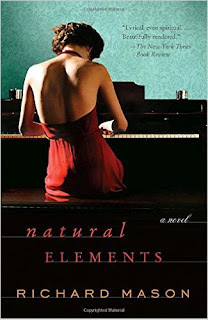 Some readers have told me that this ratchets up the tension almost unbearably (in a good way) towards the end. A: I’m making a galaxy of interconnected novels that can be read in any order. The first was The Lighted Rooms (called Natural Elements in the USA). History of a Pleasure Seeker came next, and then Who Killed Piet Barol?. The one I’m working on currently concerns Louisa Vermeulen Sickerts – who is an unhappy, privileged 19 year old in History of a Pleasure Seeker, the daughter of one of Europe’s richest hoteliers. In this new book she’s in her 50s, taking incredible risks in the Dutch Resistance. All the certainties of her childhood have been shattered. A: I wrote Who Killed Piet Barol? on a 1982 Brother electric typewriter. Why? Because Microsoft Word encourages wordiness, and makes it too easy to over-polish. The wonderful thing about a typewriter, apart from the click as each key hits the page, is the fact that you always have a record of how a sentence first came out. Often, though it can take time to see this, the first way you put something was the best. And… A French camera crew was present on the hillside when I was living and creating Who Killed Piet Barol?. There are a series of short films on Youtube about the weird and wonderful things that happened. You can see them here.